Something to look forward to: While it’s still the number one digital games marketplace for the PC, Steam is long overdue a major overhaul. 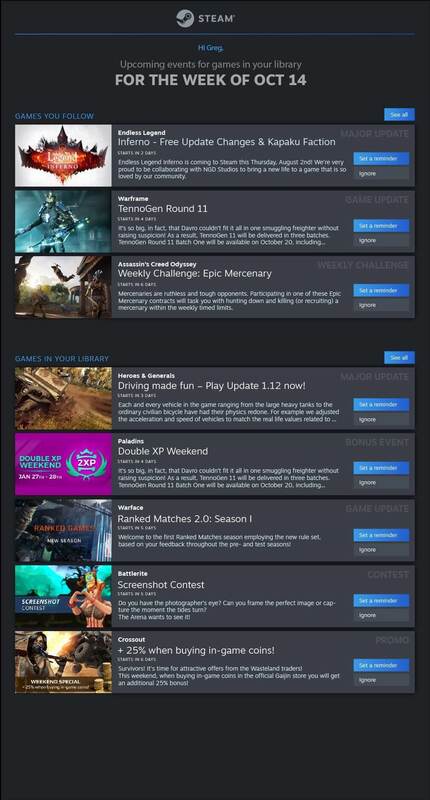 Thankfully, that’s finally happening this summer, and before that, we’ll see the launch of the Steam Events feature. 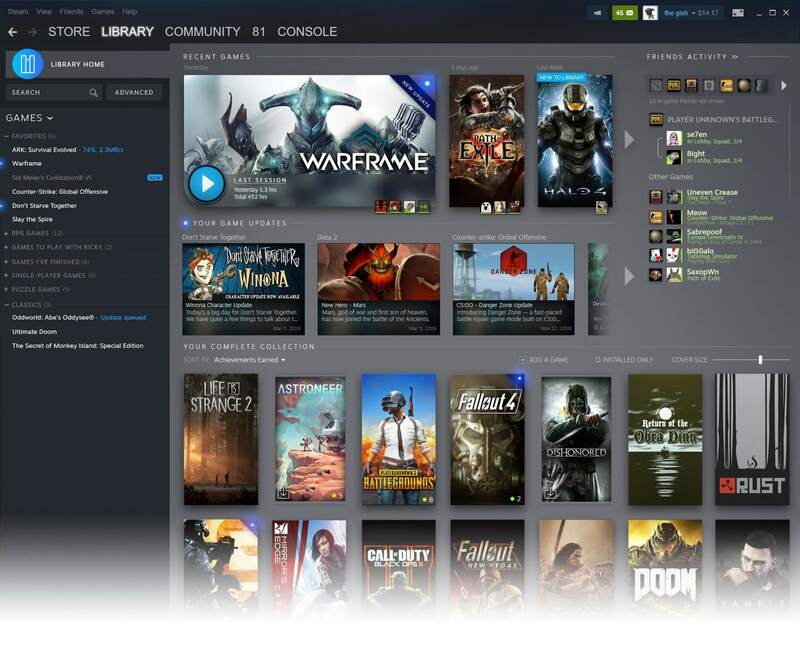 Unveiled at the 2019 Game Developers Conference, the redesign focuses on the Steam Library. 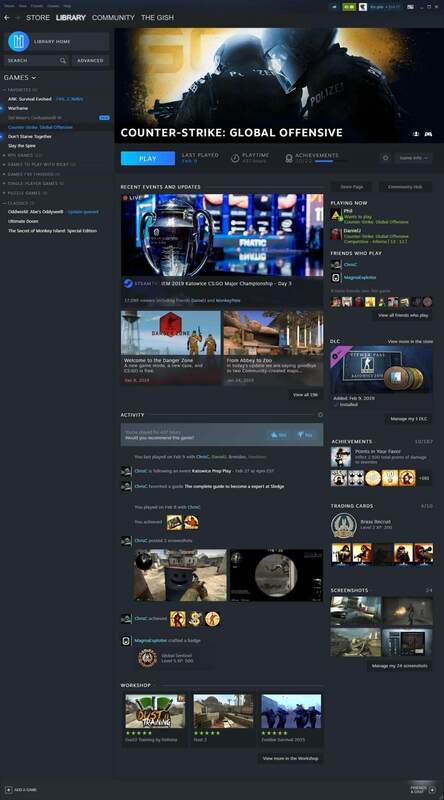 Not only will the new format let you quickly jump back into the last game you were playing, but it also makes it easier to see which games your Steam friends are playing and their recent activities. These library homepages also put an emphasis on game updates, highlighting instances where new characters, game modes, or other changes have been added to a title. You can click on a game in your library and see DLC you haven’t bought, along with more information related to updates, activities, and recent events, all using an interface that’s pleasing to the eye. Additionally, it will be possible for developers to embed livestreams of gameplay directly on a store page. The new Library arrives in open Beta this summer, but before it does, we’re getting a new feature called Steam Events. These let users know when something is happening in a game they own. This covers everything from developer livestreams, major updates, holiday events, bonus weekends, challenges, etc. In addition to being reminded about Events within the new Library, users will have the option of being notified via calendar apps, email, mobile app notifications, text, and through Steam’s notification box. 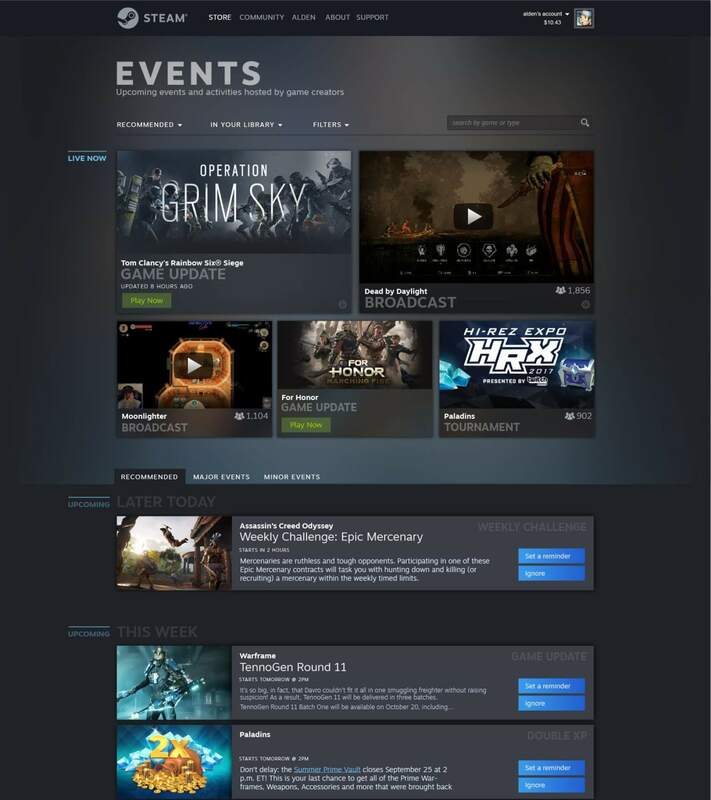 The Steam Events’ open beta arrives in the coming months. Valve is said to have been planning to overhaul Steam for a long time and has been slowly adding small improvements, including the upgrade of its aging chat system. With the Epic Games Store breathing down its neck, now seems like a good opportunity to finally give Steam a fresh coat of paint and some new features.